We create organic floral designs as unique as you. Serving the Cape Fear Region, including Wilmington, Wrightsville Beach, Carolina Beach, Southport and more. Whether you're planning a wedding, anniversary, bridal or baby shower, corporate event or just a fun party in Eastern North Carolina, we're here to help! Take a look around our website and contact us for your complimentary floral consultation for your next event at 910.617.3864. "Have your people get in touch with our people." We love connecting with our brides and creating a floral love story on their big day...Wander through our blogs to see whats new! 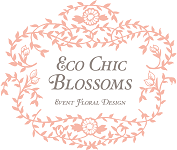 Looking for a certain floral design style?